French winger, Franck Ribery has been told he would be highly welcomed to Down Under, but a transfer to Asia is looking more like the reality. 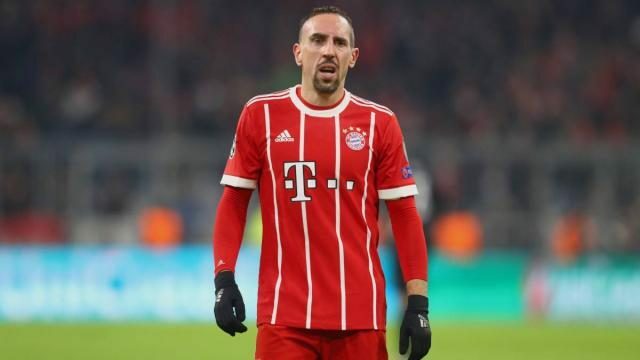 Franck Ribery has been told to look into a move to Australia if he quits Bayern Munich this summer, as Alexander Baumjohann said the Frenchman could “eat his gold steak in peace” if he joined the A-League ranks. At his age, the French legend is getting closer to the end of his amazing career. Alexander said, “If he wants his peace, he should come. In Australia, you can live your life as a footballer in peace. “Especially in recent years, top stars like [Fernando] Torres or [Andres] Iniesta have been associated with Australian clubs again and again, but I do not think the money is enough for such players.